Item # 312680 Stash Points: 7,995 (?) This is the number of points you get in The Zumiez Stash for purchasing this item. Stash points are redeemable for exclusive rewards only available to Zumiez Stash members. To redeem your points check out the rewards catalog on thestash.zumiez.com. 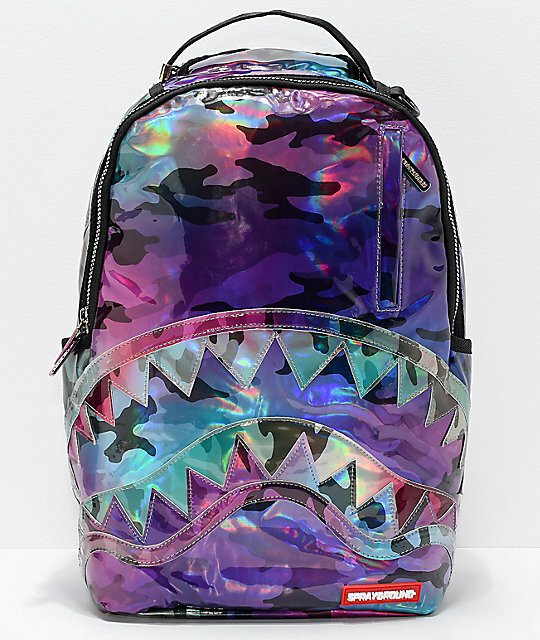 Add some shine to your accessory game with the Hologram Shark Backpack from Sprayground. 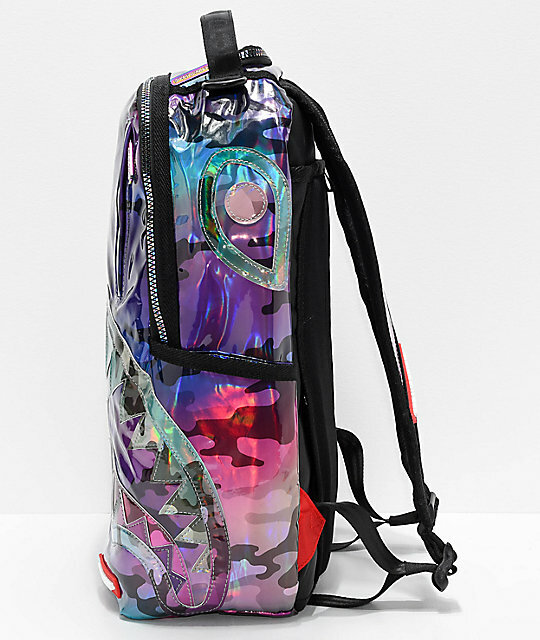 This unique backpack is made from a durable water-resistant material that comes in a shiny, holographic camo finish. 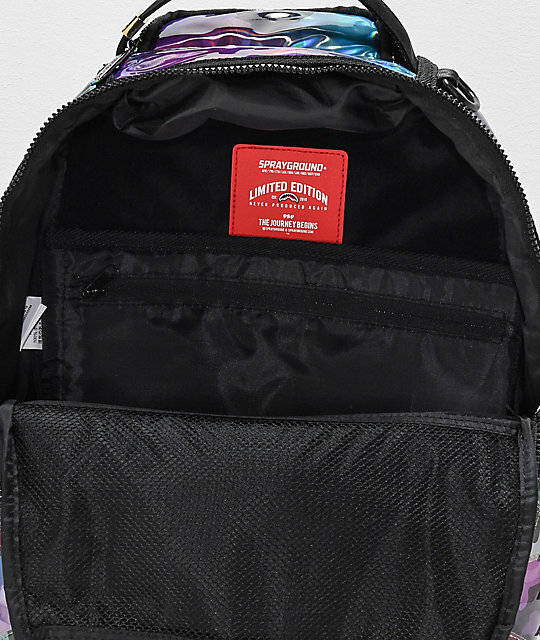 A Sharkmouth graphic is sewn onto the front for a signature look from Sprayground. 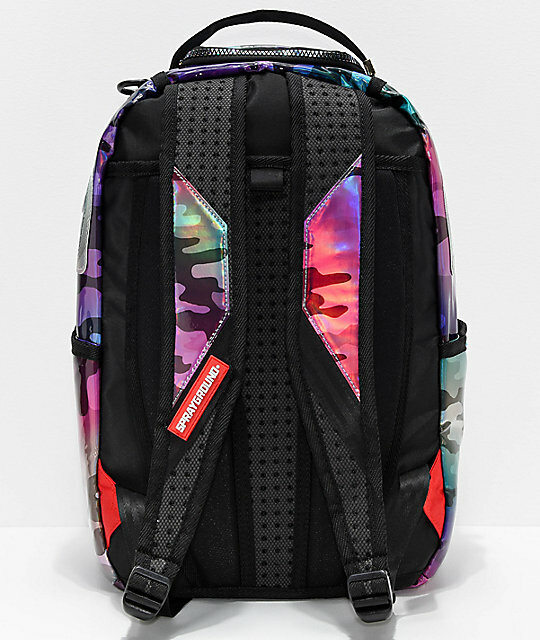 Details like holographic zippers and Sprayground branding throughout offer this backpack a one-of-a-kind look, while the padded laptop sleeve and multiple compartments offer ultimate functionality, for a look you won't want to miss out on. 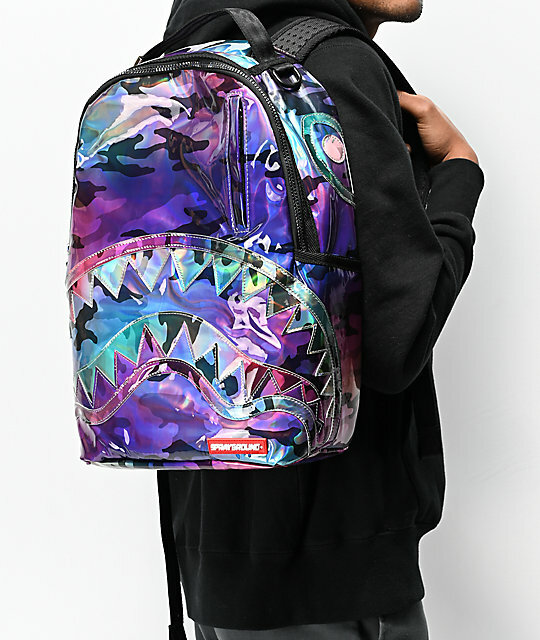 Hologram Shark Backpack from Sprayground. 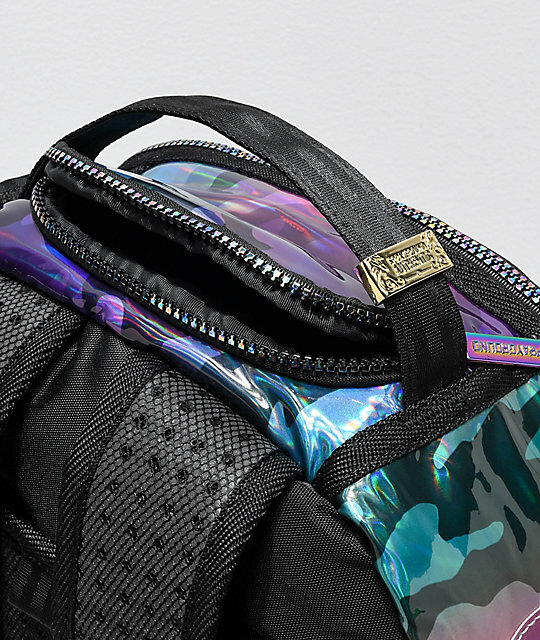 Iridescent camo with a holographic Sharkmouth on the front panel.